Today's recipe is for lasagna soup from 365 Days of Slow Cooking. The recipe is written for the Instant Pot but I'm sure it could easily be modified to cook on the stove top. 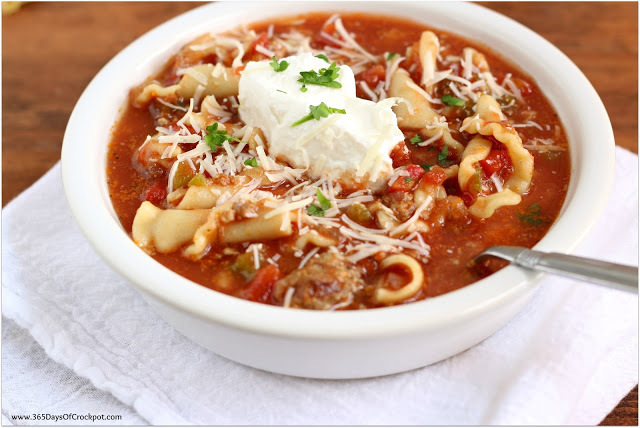 I've never had lasagna soup before but I've been craving lasagna and this recipe sounds quick, easy and delicious. It will probably be a bit less fattening too. This is one of my favorite soups!! I need to make it this week, thanks for the reminder.